First off, Tehani Diaz is here to tell us about the next Honolulu Tech4Good meetup and Giving Tuesday. 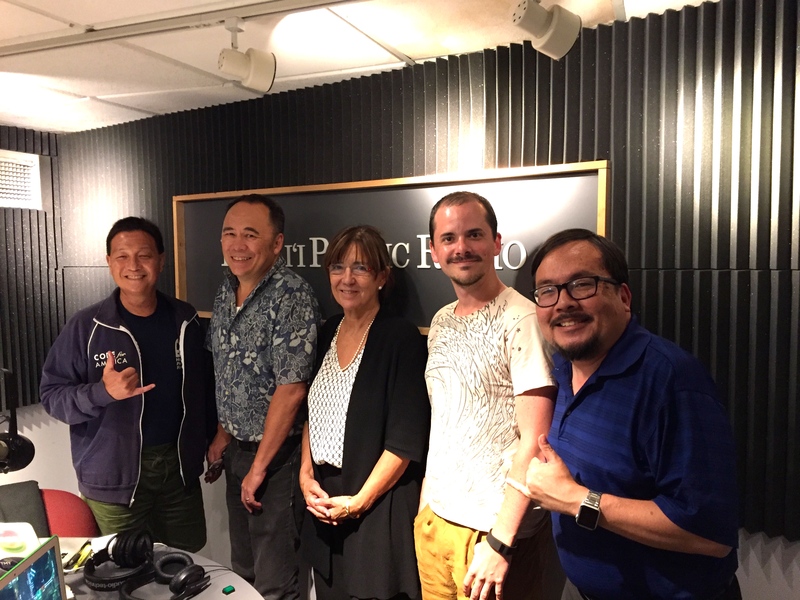 Filmmaker Jeff Katts tells us about the upcoming ClaxtonFest 2016, finally Helen Cho is here to tell us about the Inaugural Launch of Honolulu Startup Grind. 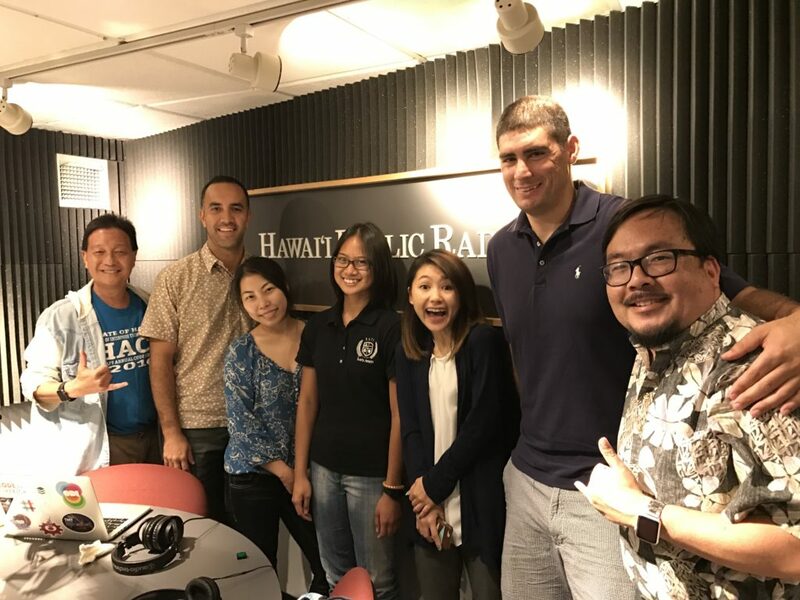 After the break, we talk to Robbie Melton, Meli James and Luke Tucker, leaders in the #startupParadise startup initiative, to discuss the challenges of startups growing their market in Hawaii and beyond. First off, virtual reality is the theme of the local tech calendar. Chris Lee is here to tell us about a Unity VR workshop coming up at the UH iLab. 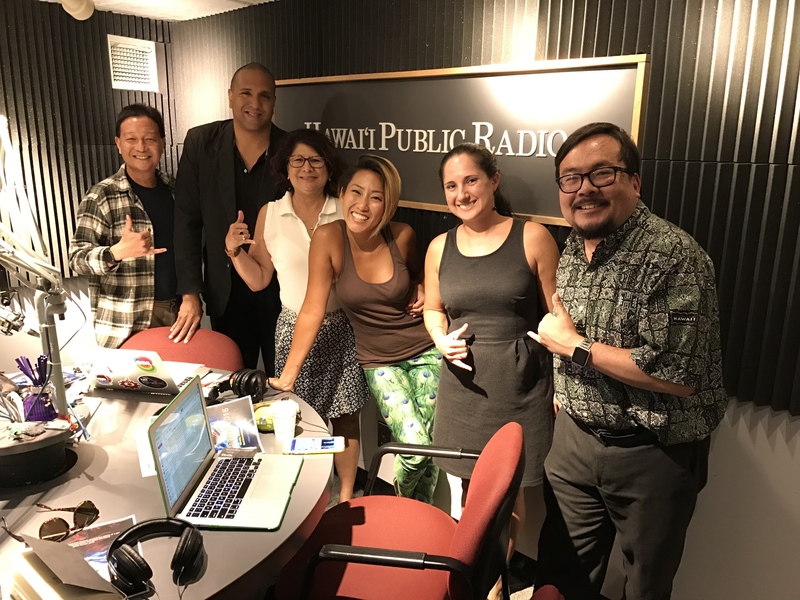 Then Leslie Dance from the Hawaii Tourism Authority joins us to tell us about technology features at the upcoming Hawaii Tourism Conference. Finally, after the break, we talk to Tristan Bassingthwaighte and Carmel Johnston, both crew members who spent a year in the HI-SEAS habitat on Mauna Loa, to explore long duration missions on Mars. First off, after some quick Apple talk from today’s keynote, we look ahead on the local tech calendar and the Hawaii Tourism Conference. Shem Lawlor from Blue Planet Foundation is here to tell us about the upcoming Electric Island Drive. Then Fiona Langenberger from PacIOOS joins us to give us an update on PacIOOS website and the IUCN World Congress. 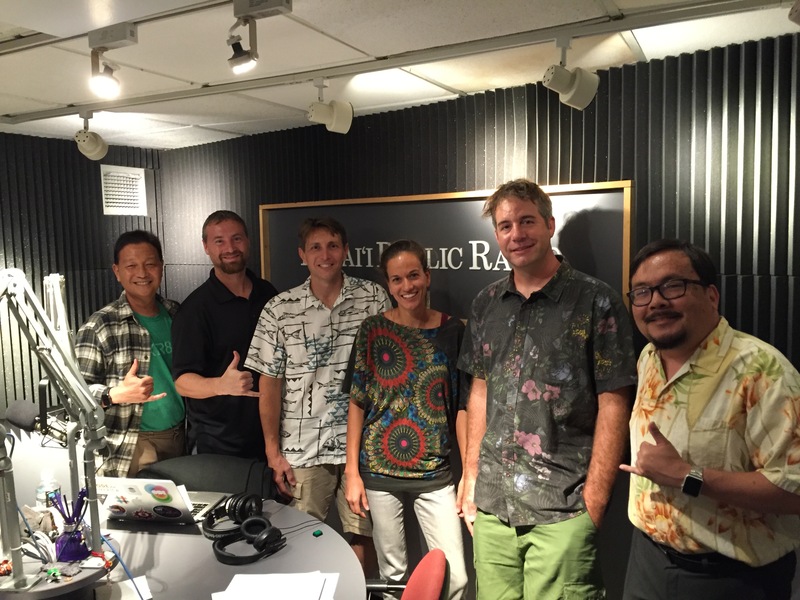 Finally, after the break, we’ll talk to Will Haines and Jason Graham, both researchers at DLNR developing programs to save native insect species, the Kamehameha butterfly and Yellow-faced bee.